Would You Be Interested in Premium Content? I’m not knocking any of these approaches, but that’s not what I’m trying to do. I’ll come back to this momentarily, though. And back when I first launched The First Version, the pop-up worked quite well. In fact, this dialog is doing a great job generating leads, too. However, more than a few of you have expressed interested in premium content while simultaneously expressing frustrations with this approach. So in exchange for disabling the dialog, I thought I’d write a post and share an opportunity to sign up for more information in the context of its page. 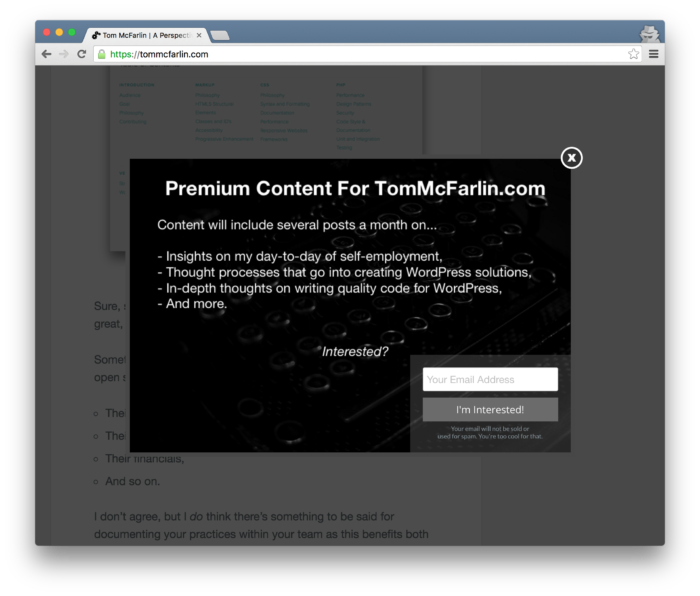 What’s Included in Premium Content? As mentioned earlier, premium content means different things to different people, so this raises the question of what I have in mind as it relates to this site. And potentially offering the opportunity for refactoring small bits of code or advice based on those who are registered members of the site. With that said, here’s where you can sign up. The neat thing is that offering something like this gives me the ability to be a bit more open with an audience both professionally and personally with the end goal of making sure we’re doing what we can to contribute more quality into the WordPress economy. Right now, I’m looking at placing a nominal fee for membership, and the options are in three, six, and 12-month increments with the ability to cancel or renew at each point the license comes up for renewal. 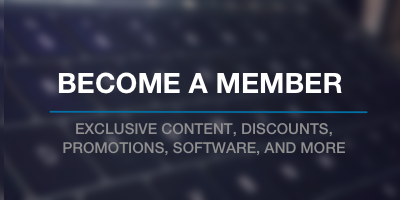 The membership should also include a periodic newsletter that would contain a little bit more information than would be on the site (that you could opt-out of at any time), but would also offer deals, coupons, and incentives to premium WordPress products and services I use and that I trust. It would also be a channel through would I could communicate with each of you directly to make sure that you’re getting the most out of your membership. After all, I might have plans for something like this, but I ultimately want to make sure that each of you are happy with the subscription you’ve made. Note that I’ve closed comments on this post as the best way to respond is to subscribe to the newsletter (or not) so I can follow-up with those of you who do express interest.